The following topic describes what happens after an activity/service call has been assigned to a crowd service partner. Note: Assignments can also be accepted by selecting the ACCEPT option at the bottom of the email message. This will change the status as described below. 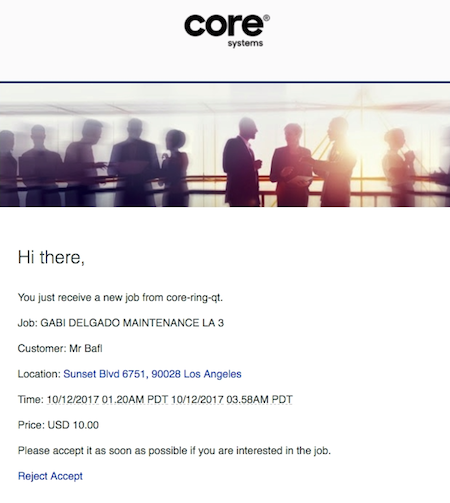 Service partners can login to the Planning Board by following the link contained in the crowd confirmation email and entering their login credentials. 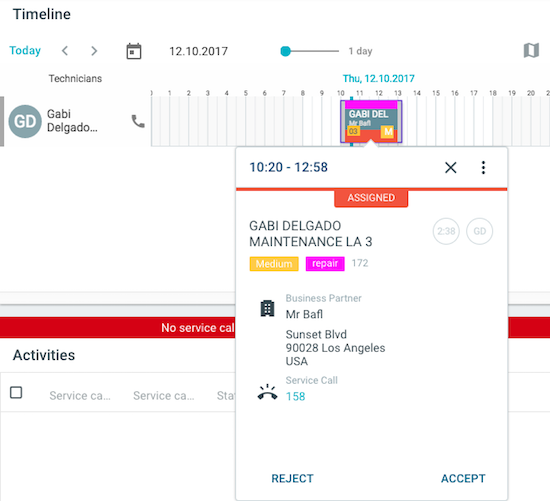 Next, the service partner can assign the activity/service call to one of the technicians and, when complete, selecting the ACCEPT button. When the assignment has been accepted, the status of the activity/service call will change to RELEASED. 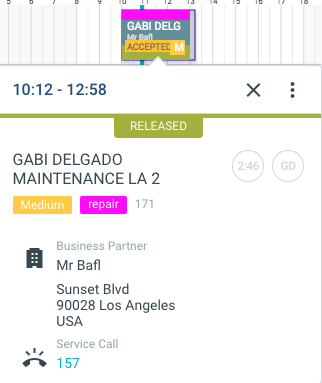 And the activity/service call can now be completed by the service partner technician using the mobile app.